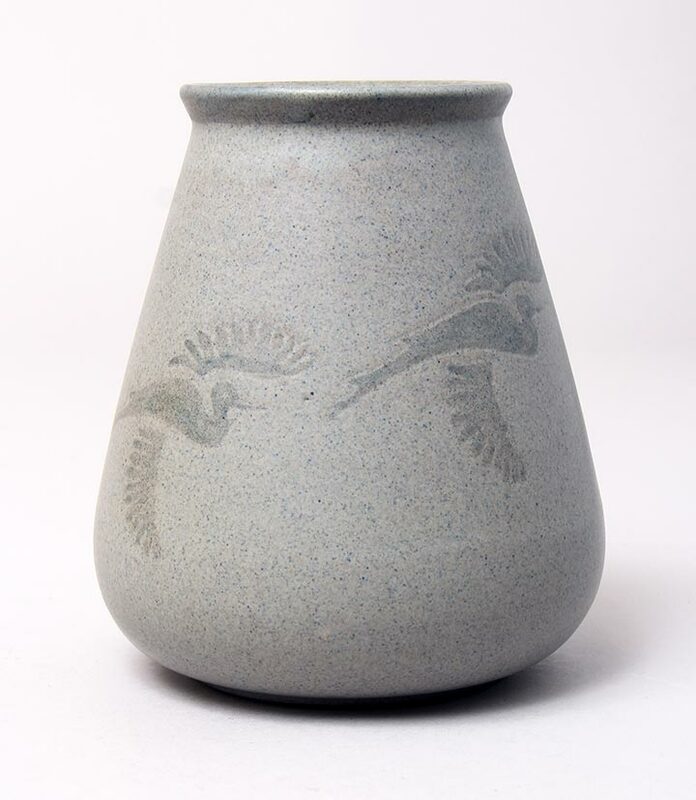 If you know Marblehead Pottery, you know how rare herons are. This example is a real beauty. 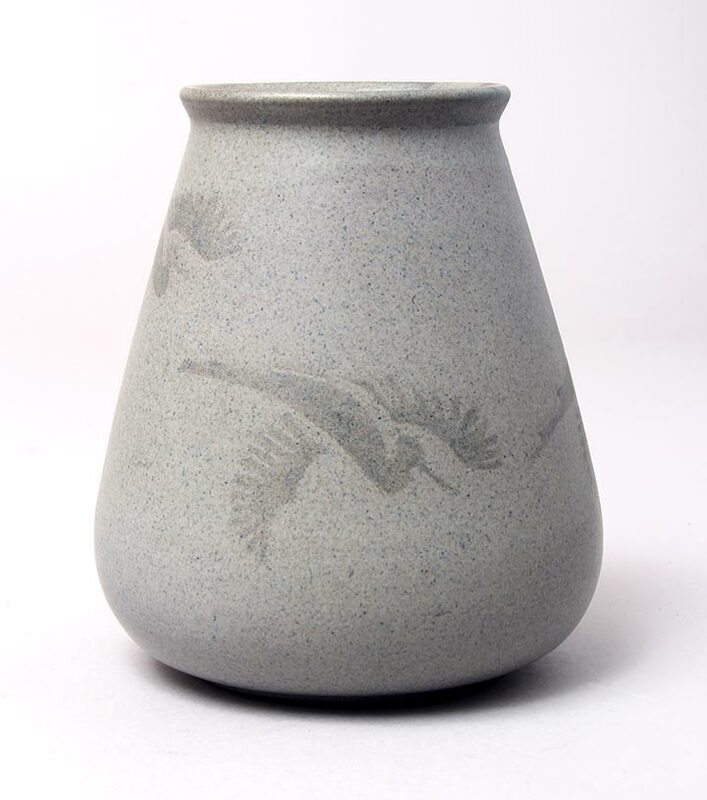 At 6" tall, it's slightly larger than the typical Marblehead vase. Signed, mint condition, no restoration. 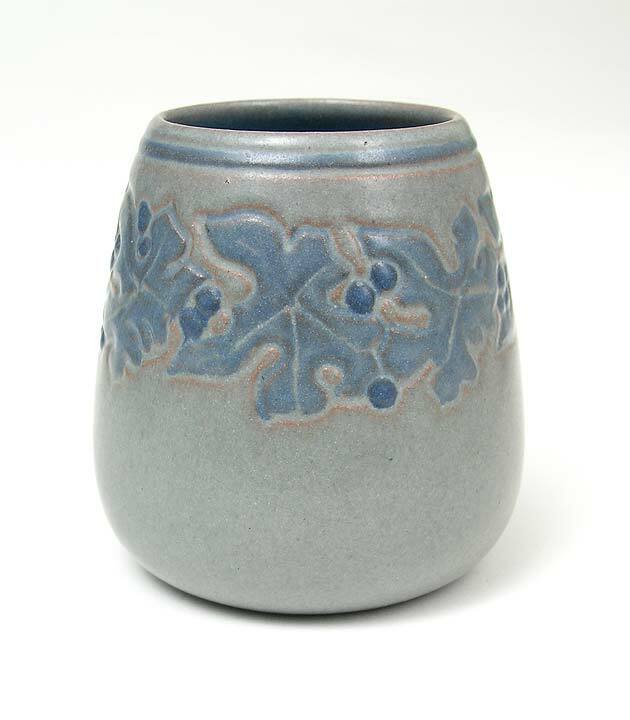 Incised decoration with green & reddish berries and dark blue leaves on a dark blue ground. 4¼" t. x 5¼" diam. Signed. Mint condition. 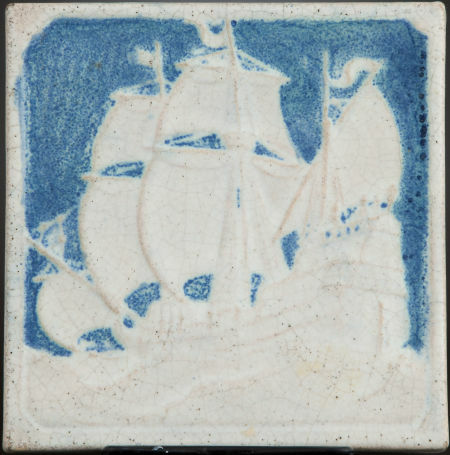 Rare tile with sailing ship decoration. Some peppering and crazing, but no damage or restoration. 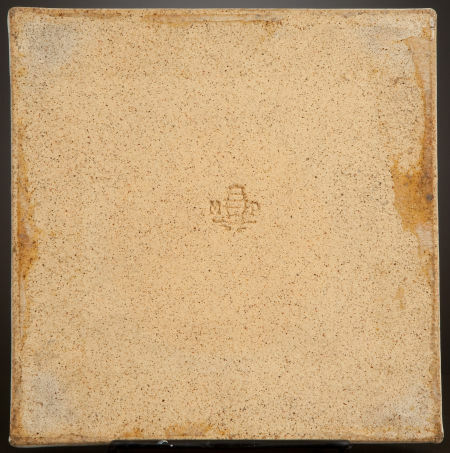 6¼" square. Signed. Deeply incised blue-gray leaves with blue berries on a gray background. 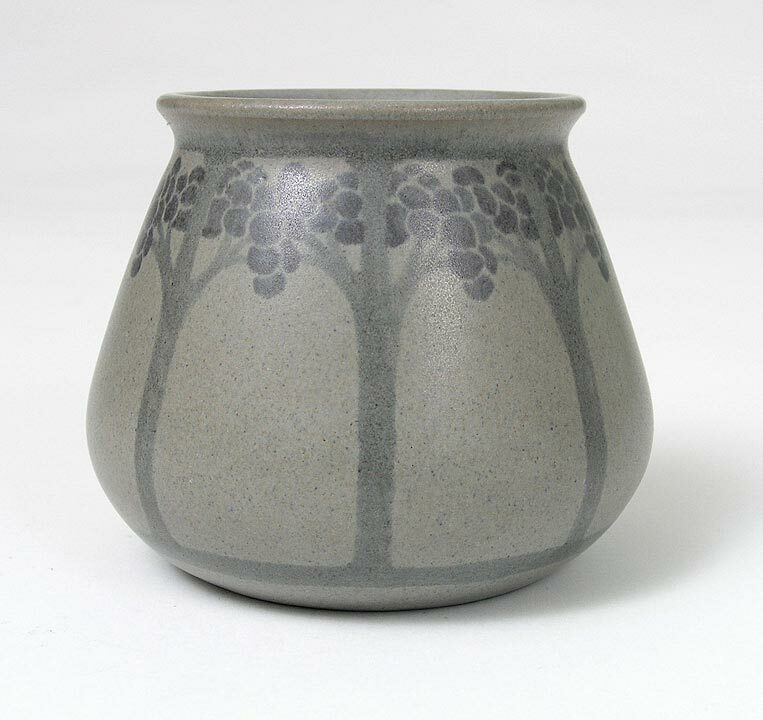 Nice work on this diminutive 3½" t. vase. Signed. Mint condition. 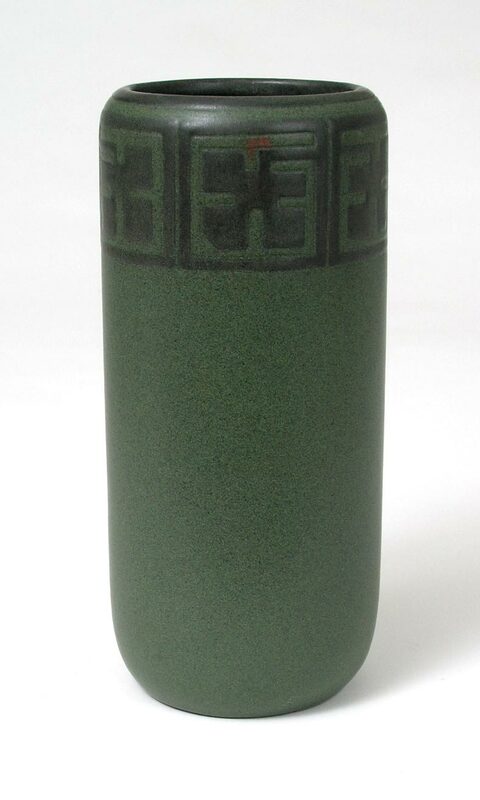 Beautiful Arts & Crafts vase with a stylized floral band, incised in black against a beautiful green ground. Nice big size at 9". 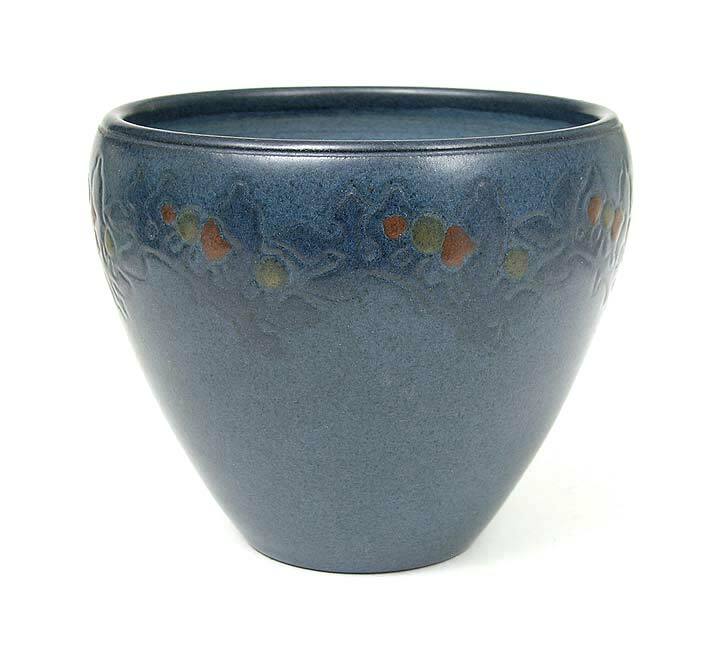 One tiny glaze miss in the floral band, original to the making and only mentioned for accuracy. Signed. Mint condition. 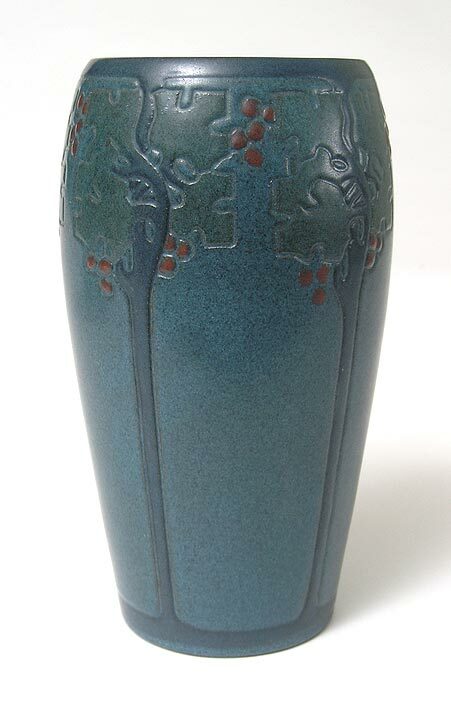 Super quality Arts & Crafts vase with tree decoration on gray. 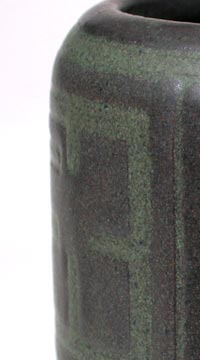 Great glaze. 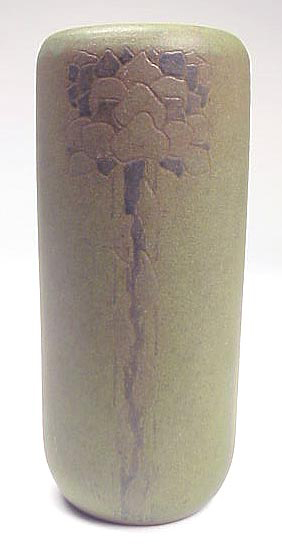 3½". 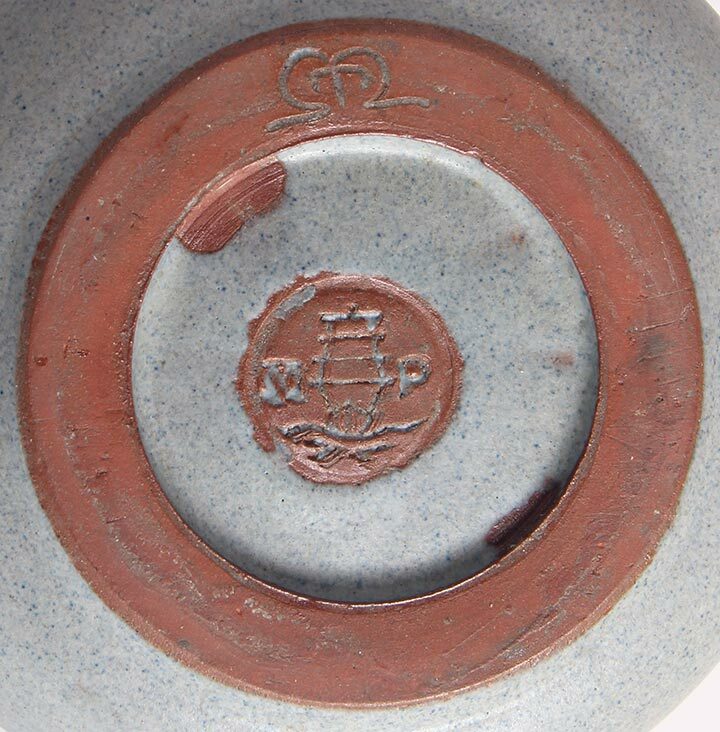 Signed in the clay, as well as a Marblehead paper label. Mint original condition. 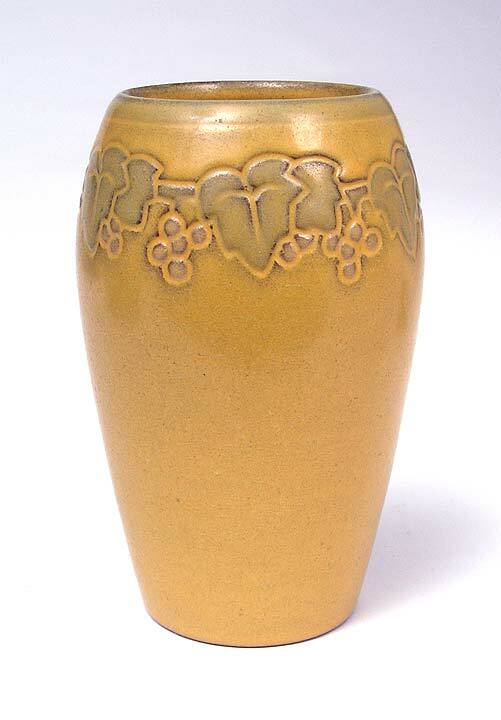 Burgundy incised ivy leaves and berries, partially glazed over with yellow/ochre glaze on an ochre ground with a hint of fine blue speckling. 5¼" t. Signed. Mint condition.